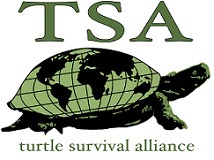 The goal of the Turtle Survival Alliance (TSA) is zero turtle extinctions in the 21st century. With projects or programs in Belize, Colombia, Europe, Madagascar, and throughout Asia, the TSA is a recognized force for turtle conservation globally. TSA’s conservation actions utilize a three-pronged approach, namely restoring populations in the wild where possible, securing species in captivity through assurance colonies, and building the capacity to restore, secure and conserve species within their range countries.